Login to Lotus Domino Administrator with the Administrator’s ID or an ID that has proper rights on the server on which the template has been installed. Click Ok on the dialog shown below to sign the template. 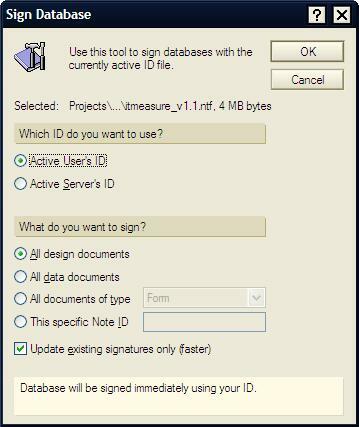 Create a new Database ‘ITQMeasure.NSF’ on the server using the signed Measurement Suite Template. 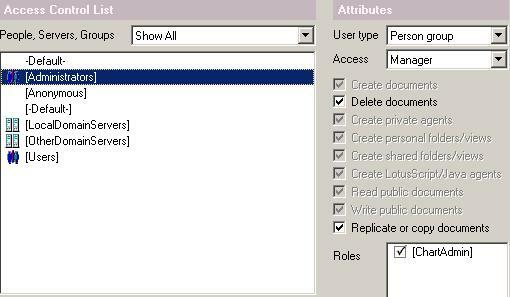 Login to Lotus Notes client with the Administrator’s ID or an ID that has rights to create database on the server. 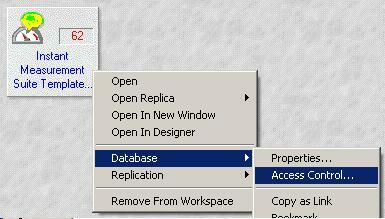 Select the Server on which the database needs to be created. Specify a title for the database. There must be an entry of a user or a group with access level of ‘Manager’ and of user type ‘’Person’ or ‘Person group’ with role ‘Chart Admin’ who will responsible for administrating the database. There must be an entry of a user or a group with access level of ‘Author’, ‘Create Documents’ rights and of user type ‘’Person’ or ‘Person group’ who are basically users of this database. 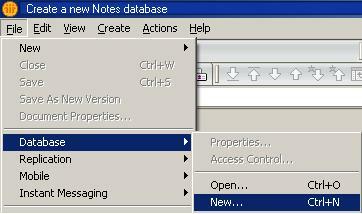 Open the newly created ITQMeasure.nsf database from the lotus notes client. The main purpose of this step is to link the Measurements database with the IMtegrity and ST Logs databases and configure the live feed. Click on ‘Click here’ to open the setup document in the screen as shown above. 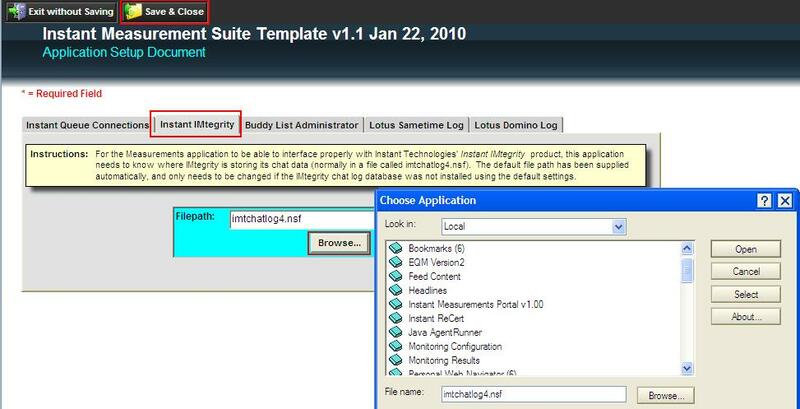 Select ‘Instant IMtegrity’ tab, click on ‘Browse’ to open up the database dialog and select the ‘Instant IMtegrity Chat Logs’ (imtchatlog4.nsf) created in the previous step. 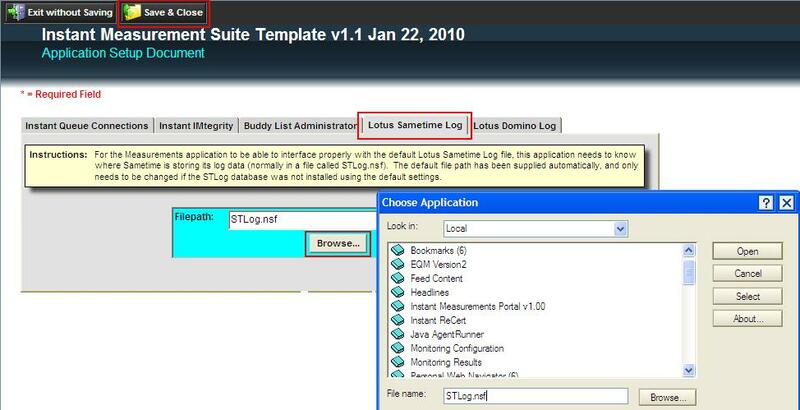 Select ‘Lotus Sametime Log’ tab, click on ‘Browse’ to open up the database dialog and select the ‘Sametime Log’ (stlog.nsf) created in the previous step. Click on ‘Live Feed’ and enter the following details. 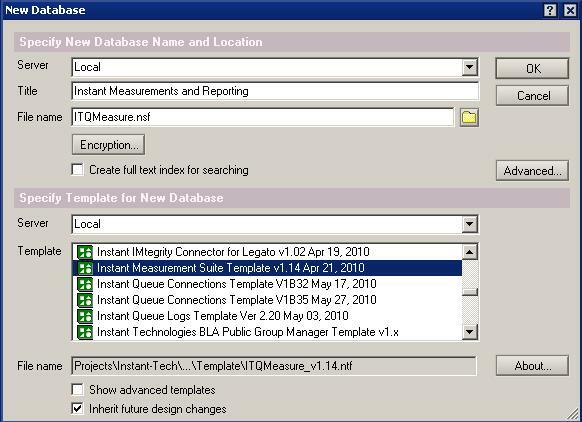 click on ‘Browse’ to open up the database dialog and select the ‘Instant Measurements and Reporting’ (ITQMeasure.nsf) i.e the current database. Click on ‘Save and Close’ to save the configuration. Open the newly created ‘Instant Measurements and Reporting’ (ITQMeasure.nsf) using Lotus Domino designer. Imtegrity charts will be displayed by default. Charts of STLogs and Live Feed can be accessed with the tabs as shown in the screen shot. All charts can be printed and exported to excel using the actions provided at the top right as shown in the screen shot. Charts with ‘*’ indicates that it can be drilled down by clicking on the column you like to view. 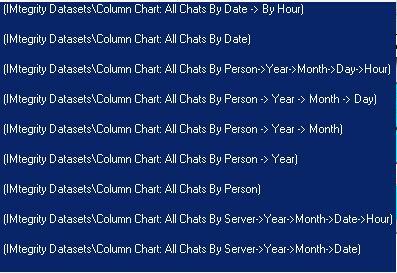 Charts are cached hourly or daily depending of the setting in their config document. If a displayed chart is cached or live is displayed in the top right of the chart window. 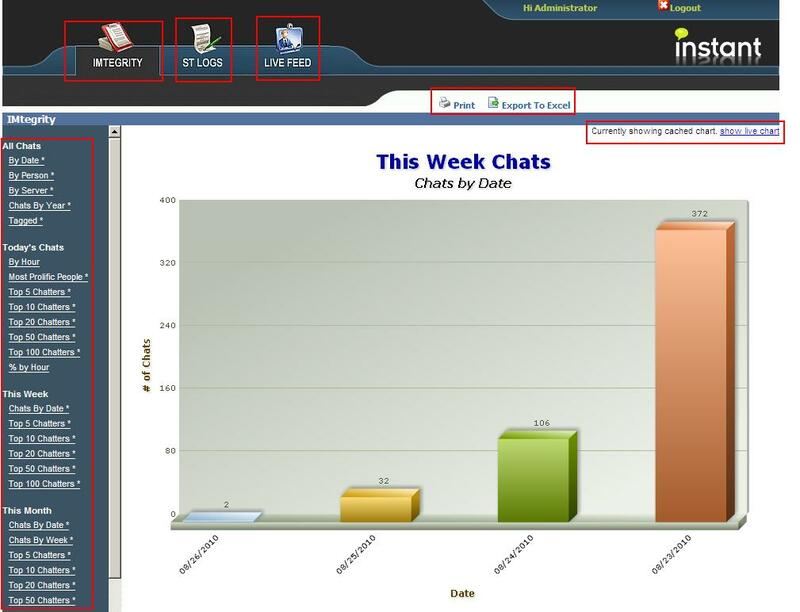 By default charts will be displayed from cache and live chart can be viewed using the link as shown in the screen shot.